I've been a fan of the EBL for years and after experimenting with different formulas, I'd like to think I have the art of picking one down to a science. First, the shade must be bold, flattering, and versatile: it should have the power to brighten up an otherwise neutral face and go with most, if not all, of your wardrobe. 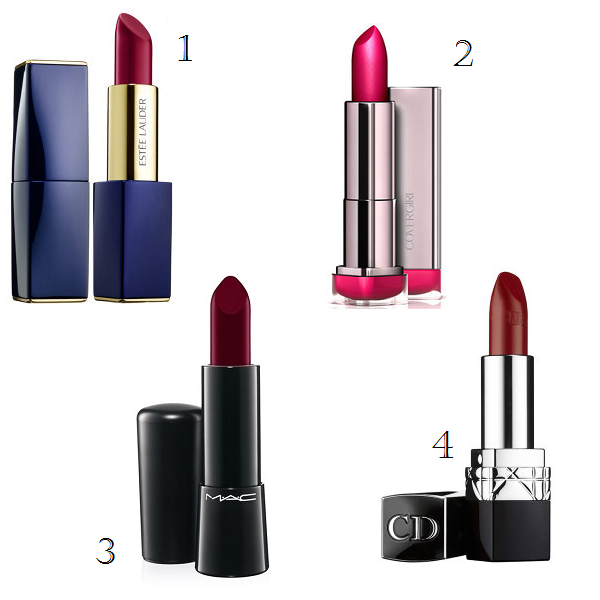 Red is always a safe choice for that, but around this time of year a vampy plum or brilliant fuchsia can also be quite fun. Next, the bullet should be ergonomically shaped so as to hug the curves of your cupid's bow and create a relatively perfect lipline, sans lip brush or lipliner. And finally, the formula: pigmented, long-lasting, and moisturizing with enough slip to feel good on the lips for hours. Tall order, right? Not so for these 4 EBL picks, which tick all the above boxes. I bet you have quite a few EBLs of your own!